Strengthening public healthcare is extremely crucial to providing quality healthcare for all. With that in mind, Chennai-based NGO Arappor Iyakkam initiated an initial study as a citizen audit of government hospitals and urban Primary Healthcare Centres (PHCs) in Chennai. While it cannot be taken as representative of the healthcare system of Tamil Nadu, the study is a good representation of the government-administered public healthcare system of Chennai. Arappor’s study in the hospitals and PHCs describes the gaps in the availability of basic facilities, such as drinking water, toilet and hospital cleanliness, hospital staff’s service and attitude, bribery, and overall experience of patients. The study is primarily based on feedback from patients based on their experience in these medical facilities. A basic survey of 250 patients/attendants was carried out across various tertiary hospitals, including the Rajiv Gandhi Government General Hospital, Stanley Medical Hospital, Kilpauk Medical College and Hospital, Government Royapettah Hospital, Government Maternity Hospital, Regional Institute of Ophthalmology and Government Ophthalmic Hospital and Gosha hospital. There was also a survey of 110 patients across 26 urban PHCs. The findings of the study in tertiary government hospitals indicate that there is a high level of satisfaction expressed by patients as far as the service rendered by doctors and support staff are concerned. The key issues however arise due to lack of basic facilities – such as improper maintenance of toilets, unclean drinking water, large scale bribery needed to access basic services and long waiting time. Overall, 69% were satisfied with the doctor’s service, 66% were satisfied with the service of the nurses, 62% with the service of the pharmacist and 66% with the services of the lab technician. 68% of the patients felt that the hospital they visited was maintained cleanly. 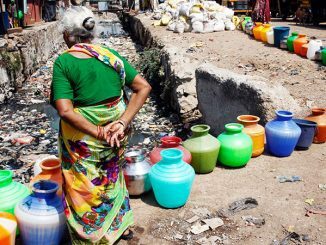 73% of the people surveyed felt that the available drinking water facilities are poor or average. Drinking Water was either not available or was unclean in most of the hospitals. 51% of the patients surveyed felt that the toilet facilities in the hospitals were rather poor on average. The report indicates rampant corruption among housekeeping staff, security and others. 49% of the patients had to pay bribe for accessing services at the Government Hospital. A lot of patients felt that even basic services like the stretcher service was denied if they refused to pay a bribe. Delay in treatment constitutes another major complaint from those surveyed. 45% of the patients/attenders expressed that they were made to wait for a long time to access service/ treatment at the hospital. 53% of the patients and their attenders expressed dissatisfaction over the poor or average facilities for the patient’s attenders to stay in the hospital. One of the most common complaints pertain to the lack of information on timeline of services and grievance redressal mechanisms. Many patients have to wait a long time to get test results, or ask a number of times if bed sheets have to be changed. 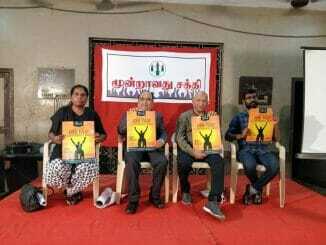 The survey of the 26 Urban PHCs spread across Chennai also revealed several shortcomings. However, both on infrastructure and service by doctors, the feedback was largely positive. 90% of the people surveyed felt that the place was clean, 83% reported that the facility had good drinking water and 80% reported that there was a toilet in the PHC. 83% of the patients who met the doctor felt that the doctor spent adequate time on consultation and counselling of the patient. 94% of the patients reported that they also got the required medicine. 91% of the patients were happy with the behaviour/attitude of the PHC staff. However, doctors were absent in 23% of the urban PHCs when the study team visited. Even in centres where doctors were present, many of them were present at the centre for a two-hour time period only between 9 am to 11 am. Doctors are present for the entire time period between 8 am to 3 pm in only 6% of the centres. According to NUHM guidelines, urban PHCs should be open from 12 pm to 8 pm but the outpatient timings are not clearly specified anywhere. A lot of people mentioned that they go to private doctors because the PHC is not open in the evening. Low utilization is another factor of concern. In 61% of the PHCs, less than 10 patients were there during the entire course of the hour-long survey. This is due to several reasons — such as lack of reliability of doctor’s presence, lack of scan facilities and inconvenient OP timings. There are also issues in diagnostic facilities. In almost 81% of the centres, patients reported that the scan facilities for pregnant women and others inside the PHC were not available or not working and they were being asked to get the scan done at private centres. 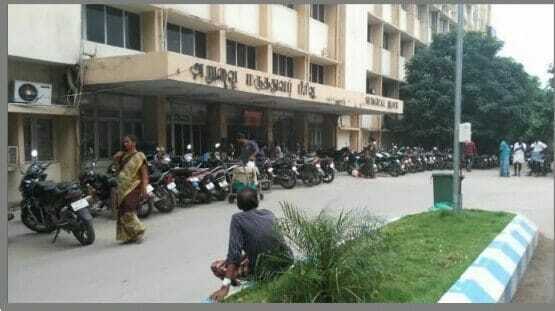 Lack of scan, x-ray and test facilities in most centres results in patients going to private centres or approaching tertiary level hospitals such as Rajiv Gandhi Hospital, which leads to overcrowding at these places. Lack of adequate public information creates problems for patients visiting the urban PHCs. In 95% of the centres, there are no information boards listing the name of the staff. In 67%, there are no information boards regarding the list of medical services provided. In 90% of the centres, there are no information boards regarding the complaint number for grievance redressal. Overall, the number of Community Health Centres (CHC) in itself leaves a lot to be desired. There are supposed to be 15 CHCs, but only seven are operational. Even these cater mostly to maternity needs and are not functional as secondary care centres which they are envisioned to be. The Arappor study has brought out both the positives and key issues that patients face in accessing government health services in Chennai. Improving testing and scanning facilities will go a long way to reducing the load on tertiary institutions. OP must be introduced in the evenings in the PHCs so that patients can avail the service after coming back from work. Section 4 of the Right to Information Act mandates every department to put out certain information on websites. These must be adhered to for the convenience of the people. Community monitoring, social audits, citizens report cards are some of the tools that enable people’s participation and feedback to the system. The Government must actively encourage these so that the overall quality and standard of public healthcare may be substantially improved. The detailed report of the Arappor survey can be accessed here. 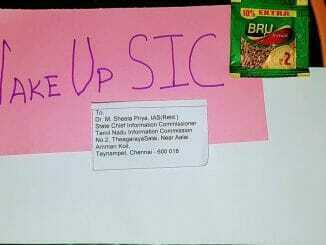 Wake up call for TNSIC: Crack down on inefficiency or remain a toothless body! The lenient Information Commission in Tamil Nadu has failed to crack down on corrupt and careless Public Information Officers. Over 500 cases were pending enquiry at the end of 2017, up from 135 in 2015. How can the TNSIC change?